As the hammer flew by our heads in 3D my son said that he almost caught it. This was an amazing thing considering that this same 8-year-old had been sleeping right before the movie started. He told me he might sleep through the movie instead he stayed awake the whole time and could not stop talking about it all the way home. 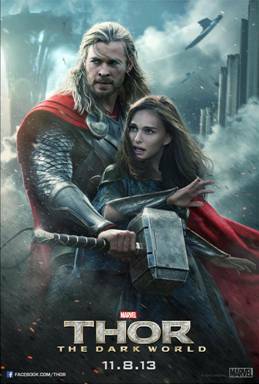 Thor: The Dark World kept up the Marvel movie tradition of fantastic story lines and great characters. The whole story blended well into the Marvel universe and did not disappoint with its special effects. I highly recommend this movie to all people and yes girls they have a scene where Thor has his shirt off. Go see Thor: The Dark World and don’t let the hammer hit you. It took everything my son had not to give away the ending, but I still have surprises waiting for when I finally get to see it. I am excited and happy that there are movies with great heroes out there. Everyone needs heroes. And just in case you missed it, here is a fun preview. I want to see it. We have seen all the other Marvel Universe movies up to this year. This year, I haven’t worked since February which limited going to the theater and my back has been in such pain that I couldn’t stand to sit in a movie theater seat anyway. 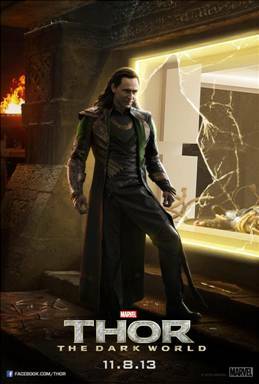 When it comes out on Blu-Ray, I’m definitely going to buy it to go with the rest of the Marvel Universe movies. Thanks for the review and Happy New Year. Oh my goodness I hope that you are feeling better soon! Great movie review. My husband loves this movie. I still have not gotten to see this movie yet. I can’t wait to see it. Thanks for the review. My bf will love this. He liked the Avengers. He really loves action adventure movies. I didn’t get to see it yet, but I want to!! Looks good, I liked the first one! This is a great post!! I love Marvel, and I need to go see this Thor too! I have still not seen this Movie, but I really would love to, sounds very interesting, and I love all things Marvel too! Thanks for the Post and the Review! We loved this movie! But we saw it in 2d. Do you think the extra money for the 3d is worth it? Love all things marvel here too, with 2 boys it’s understandable why 😉 Thanks for the interesting post.